The famous Shalimar Bagh lies at the far end of the Dal Lake. 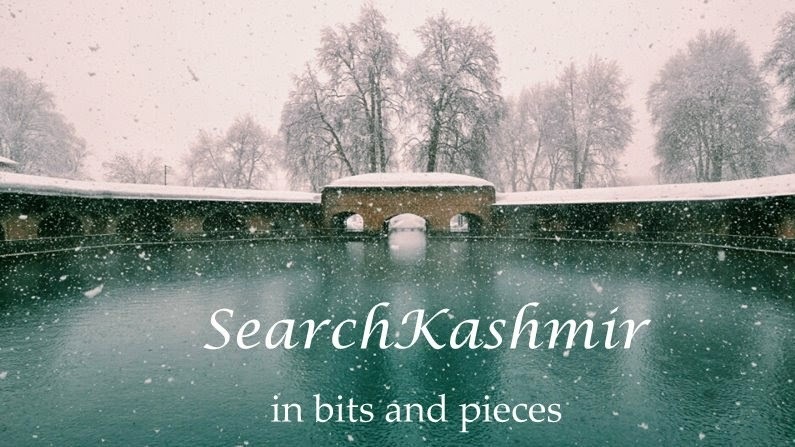 According to a legend, Pravarsena II., the founder of the city of Srinagar, who reigned in Kashmir from A.D. 79 to 139, had built a villa on the edge of the lake, at its north-eastern corner, calling it Shalimar, which in Sanskrit is said to mean " The Abode or Hall of Love." The king often visited a saint, named Sukarma Swami, living near Harwan, and rested in this villa on his way. In course of time the royal garden vanished, but the village that had sprung up in its neighbourhood was called Shalimar after it. The Emperor Jahangir laid out a garden on this same old site in the year 1619. A canal, about a mile in length and twelve yards broad, runs through the marshy swamps, the willow groves, and the rice-fields that fringe the lower end of the lake, connecting the garden with the deep open water. On each side there are broad green paths overshadowed by large chenars ; and at the entrance to the canal blocks of masonry indicate the site of an old gateway. There are fragments also of the stone embankment which formerly lined the watercourse. 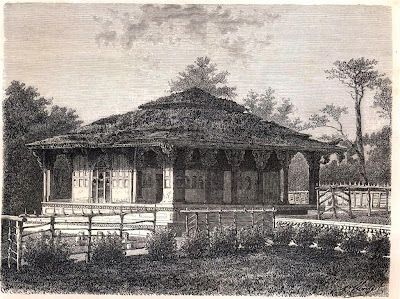 The Shalimar was a royal garden, and as it is fortunately kept up by His Highness the Maharaja of Kashmir, it still shows the charming old plan of a Mughal Imperial summer residence. 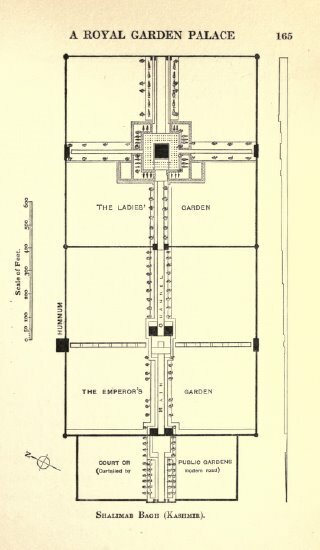 The present enclosure is five hundred and ninety yards long by about two hundred and sixty-seven yards broad, divided, as was usual in royal pleasure-grounds, into three separate parts : the outer garden, the central or Emperor's garden, and last and most beautiful of the three, the garden for the special use of the Empress and her ladies. The outer or public garden, starting with the grand canal leading from the lake, terminates at the first large pavilion, the Diwan-i-'Am. The small black marble throne still stands over thewaterfall in the centre of the canal which flows through the building into the tank below. From time to time this garden was thrown open to the people so that they might see the Emperor enthroned in his Hall of Public Audience. The second garden is slightly broader, consisting of two shallow terraces with the Diwan-i-Khas (the Hall of Private Audience) in the centre. The buildings have been destroyed, but their carved stone bases are left, as well as a fine platform surrounded by fountains. On the north- west boundary of this enclosure are the royal bathrooms. At the next wall, the little guard-rooms that flank the entrance to the ladies' garden have been rebuilt in Kashmir style on older stone bases. Here the whole effect culminates with the beautiful black marble pavilion built by Shah Jahan, which still stands in the midst of its fountain spray ; the green glitter of the water shining in the smooth, polished marble, the deep rich tone of which is repeated in the old cypress trees. Round this baradari the whole colour and perfume of the garden is concentrated, with the snows of Mahadev for a background. How well the Mughals understood the principle that the garden, like every other work of art, should have a climax. This unique pavilion is surrounded on every side by a series of cascades, and at night when the lamps are lighted in the little arched recesses behind the shining waterfalls, it is even more fairy-like than by day. Bernier, in his account of the Shalimar, notes with astonishment four wonderful doors in this baradari. They were composed of large stones supported by pillars, taken from some of the " Idol temples " demolished by Shah Jahan. He also mentions several circular basins or reservoirs, " out of which arise other fountains formed into a variety of shapes and figures." When Bernier visited Kashmir the gardens were laid out in regular trellised walks and generally surrounded by the large-leafed aspen, planted at intervals of two feet. In Vigne's time the Bagh-i-Dilawar Khan, where the European visitors were lodged, was still planted in the usual Eastern manner, with trellis -work shading the walks along the walls, " on which were produced the finest grapes in the city." Pergolas were in all probability one of the oldest forms of garden decoration. A drawing of an ancient Egyptian pleasure-ground shows a large pergola surrounded by tanks in the centre of a square enclosure. The trellis -work takes he form of a temple with numerous columns. In the Roshanara Gardens at Delhi a broken pergola of square stone pillars still exists, and a more modern attempt has been made to build one outside the walls at Pinjor. 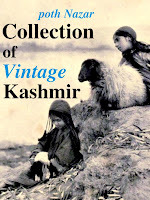 These cool shady alleys have, under European influence, entirely disappeared from the Kashmir gardens ; though here and there round the outer walls some of the old vines are left, coiled on the ground like huge brown water-snakes, or climbing the fast growing young poplars. But their restoration would be a simple matter. The pergolas with their brick and plaster pillars are a charming characteristic well worth reviving. It should be always remembered, however, to make them bold enough : high and wide with beds or spring bulbs on each side between the pillars spring bulbs, such as Babar's favourite tulip and narcissus, to flower gaily before the leaves of rose and vine completely shade the walks. A subtle air of leisure and repose, a romantic indefinable spell, pervades the royal Shalimar : this leafy garden of dim vistas, shallow terraces, smooth sheets of falling water, and wide canals, with calm reflections broken only by the stepping-stones across the stream. A complete contrast is offered by the Nishat, the equally beautiful garden on the Dal Lake built by Asaf Khan, Nur-Mahal's brother. Wow...I loved this blog and the photographs are awesome. You made my day, Thanks.